Mound Street Academies provides a second chance for young people between the ages of 16 and 22 who have dropped out of high school. 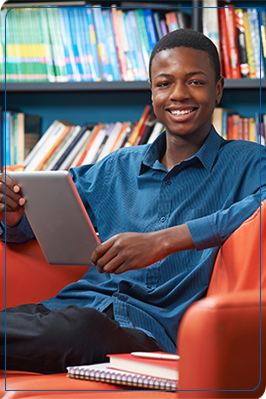 Students combine real-world, computer-based, academic instruction with career exploration and work-based learning to earn a high school diploma and gain a career focus. Since MSA opened in 2002, we have helped over 860 students graduate from high school. Mound Street Academies consists of three pathways that allow students to create schedules and classes that are tailored to their needs. Our well-trained, caring staff teaches our small classes in an adult, business-like atmosphere. High expectations for all students are essential. Every student’s path to success is unique. Educating every student academically, emotionally, and socially is our purpose. Integrity is the guiding principle in all that we do. Civic responsibility is fostered through work and community service. Learning is the shared responsibility of students, teachers, parents, administrators, and community partners. Positive engagement of students will impact their personal growth and academic achievement. A safe, secure, and positive learning environment is essential for student success. We are a regional alternative learning center for youth and adults, advancing college and career readiness through self-paced academics, behavioral health and social support services, life skills, and career preparation partnerships.